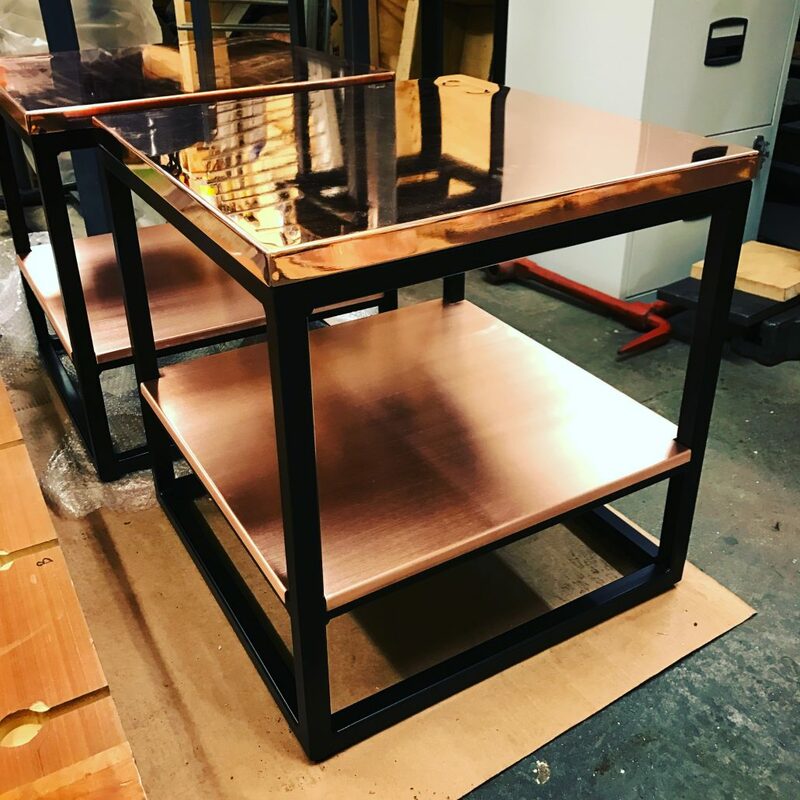 Branded copper drinks tables stamped with company logo. Located in London’s Hanover Square, Tape is a sophisticated Iive music venue with DJ sets. The brief was to re-furbish, replicate and re-brand. Bespoke drinks table with the Tape logo pressed into the tops just to remind who made you do it.